Hard shell, soft core. Of course it’s a cliché, only in this case it’s not, because the guys with the loud guitars do always come up with the most tender tunes, right? 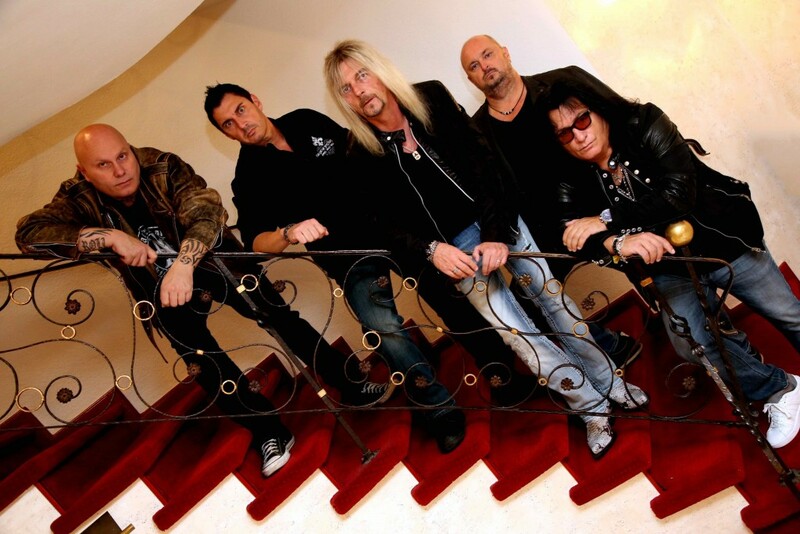 AXEL RUDI PELL is no exception. Not only do his compilations impress with their outstanding quality, they are also very successful at that: almost six years have passed since the Bochum-based guitar wizard’s most recent effort, “The Ballads IV”, entered the German charts at a sensational no. 29. “There couldn’t be a series like this if it wasn’t for the fans,” says the 56-year-old, “because almost everyone admits to loving my slow tunes.” And because PELL writes songs all the time, there was plenty of material for the next chapter. “The Ballads V” might be a retrospective of the last six years, but there are also a number of new tracks to listen to. And there’s one big new thing: for the first time ever in his almost thirty-year career as a solo artist, AXEL RUDI PELL welcomes a special guest star on one of his albums, a plan that he’s had for a long time: “But the voice has to fit in, of course.” And he couldn’t have come up with a better choice than rock legend BONNIE TYLER, who has recorded a stunning duet with ARP’s longtime singer Johnny Gioeli. AXEL RUDI PELL is justly proud of his new single ‘Love’s Holding On’ (street date: March 31 2017), saying: “BONNIE TYLER only records songs she personally likes. So I wrote this tune just for her and she really loved it. She came to the studio and we recorded it within a couple of hours. The result is amazing – another soon-to-be PELL classic in the making. If I hadn’t been a fan already, I would have turned into one instantly.” His fans seem to like it, too. After PELL had posted a photo of himself and TYLER on Facebook, the reactions were unequivocal: “Without anybody having heard a single note, there’s been nothing but positive comments throughout,” PELL comments enthusiastically. Fans are also likely to love the brand-new song ‘On The Edge Of Our Time’, an almost 8-minute track which fascinates all the way. Speaking of which: PELL has again risen to new challenges with his rocking version of the Ed Sheeran hit ‘I See Fire’ (known from the motion picture blockbuster ‘The Hobbit’), which is an interesting take on one the best ballads in recent years. “I always liked that tune, but I wanted to hear it PELL-style, so we took a piano instead of the acoustic guitar and added a beautiful solo at the end.” The other seven tracks on “The Ballads V” show how well things have gone in the PELL universe during the last six years. Apart from well-known album cuts such as ‘Lived Our Lives Before’(“Circle Of The Oath“, 2012),‘When Truth Hurts’(“Into The Storm“, 2014), ‘Forever Free’ and ‘Lost In Love ’(both taken from “Games Of Sin“, 2016), there is a new take on Neil Young’s ‘Hey Hey My My’, inspired by the legendary TV series ‘Sons Of Anarchy’. And there’s another classic track in a brand-new guise: Deep Purple’s mighty ‘Mistreated’ was recorded during PELL’s monumental 25-year anniversary show in Balingen in July 2014 with Doogie White (ex-Rainbow, MSG) on vocals and erstwhile Rainbow keyboard legend Tony Carey. “It was a 14-minute emotional ride for everybody involved on that stage that night,” says PELL. 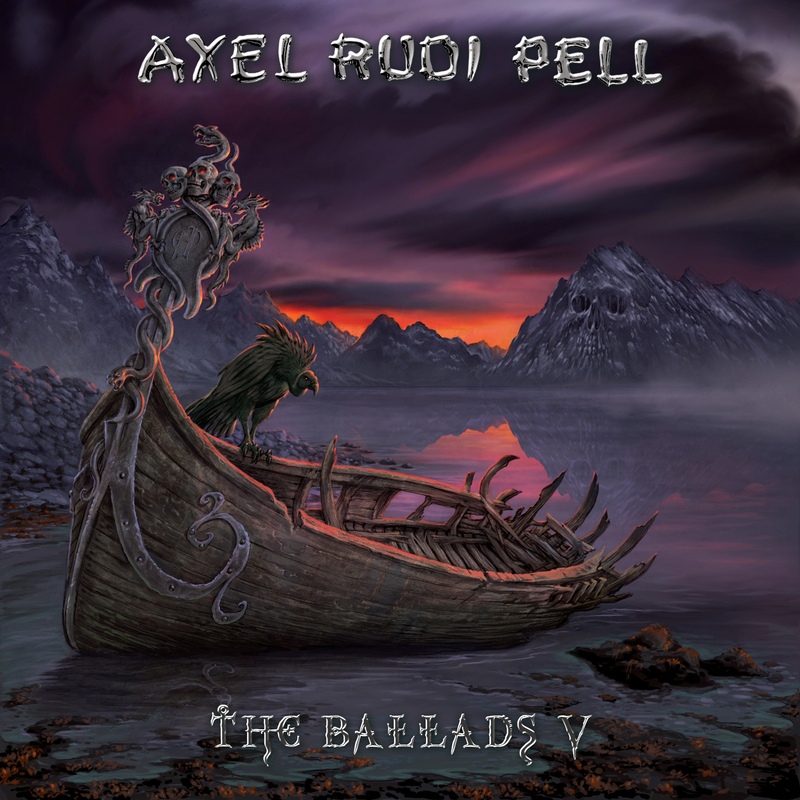 There is also a previously unreleased live recording of his own ballad ‘The Line‘ from last year’s ‘Rock Of Ages’ festival which AXEL RUDI PELL co-headlined. “All in all this compilation defined itself all on its own. You’ve got the new songs, the familiar ones and the live versions at the end.” By the way, there’s no end in sight: at this very moment, PELL is writing new material for his upcoming album about to be recorded in autumn and released at the beginning of 2018. PELL has established himself as an outstanding rock star, having sold close to 1.5 million records worldwide. Since leaving the influential German metal outfit Steeler in 1989, he’s recorded and toured with some of the finest rock vocalists: Charlie Huhn (Ted Nugent, Gary Moore, Victory, Humble Pie, Foghat), Rob Rock (Impelliteri, Driver, Joshua, Avantasia), Jeff Scott Soto (Yngwie Malmsteen, Soul Sirkus, Talisman, Journey, Trans-Siberian Orchestra) and last but not least the mighty Johnny Gioeli, who has been working with Axel since 1997 (having been in Hardline before that, a project started by Journey guitar legend Neal Schon in 1991).